The Churnet Valley Railway in north Staffordshire runs for eleven miles from Kingsley and Froghall to Leekbrook, near to Leek. Cheddleton is one of the stations on this route and is the original station on this preserved railway with a charming grade two listed station. Sitting on this station platform, the chugging of the trains on this lovely railway line takes me straight back to a time of steam trains. 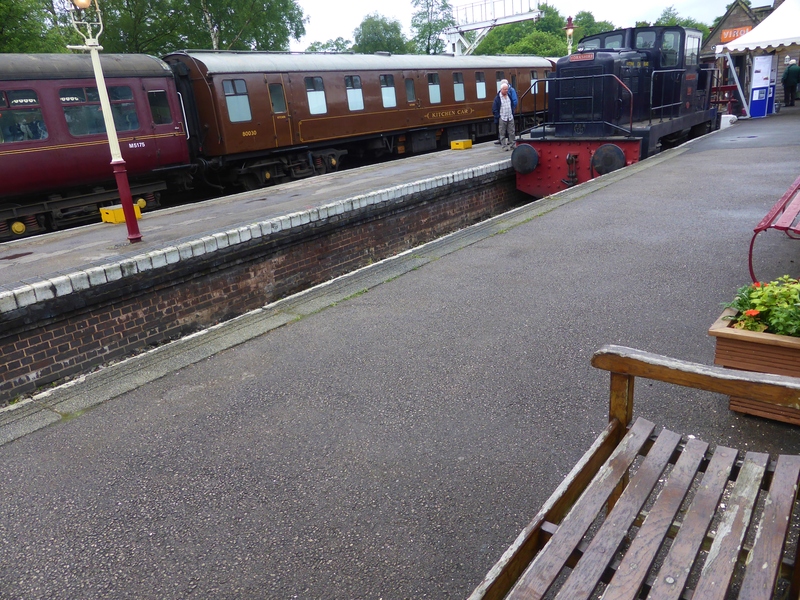 Les Richards must have been an early volunteer with the Churnet Valley Railway, as it wasn’t until 1996 that the regular service along the short stretch of line from Cheddleton to Leekbrook began. Cheddleton station closed in 1965 and a local campaign to preserve the railway began in the 1970s with the Cheddleton station building only just saved from demolition in 1974. Since 1996, the Churnet Valley Railway has gone from strength to strength and is now a well-used and well-loved railway. I am sorry that I haven’t been able to find an obituary for Les Richards, who gave so much of his time to the Churnet Valley Railway as he feels like a man worth knowing more about. 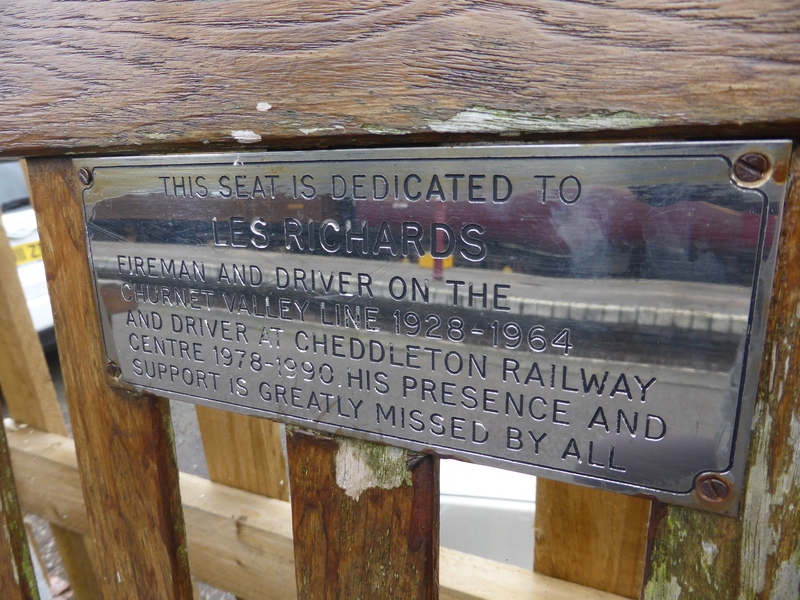 I assume his fellow volunteers erected the memorial bench at Cheddleton station to say that his ‘presence and support is greatly missed by all’ and that is certainly a sentiment we would all like said of us. Fireman and Driver on the Churnet Valley Line 1928-1964 and Driver at Cheddleton Railway Centre 1978-1990. 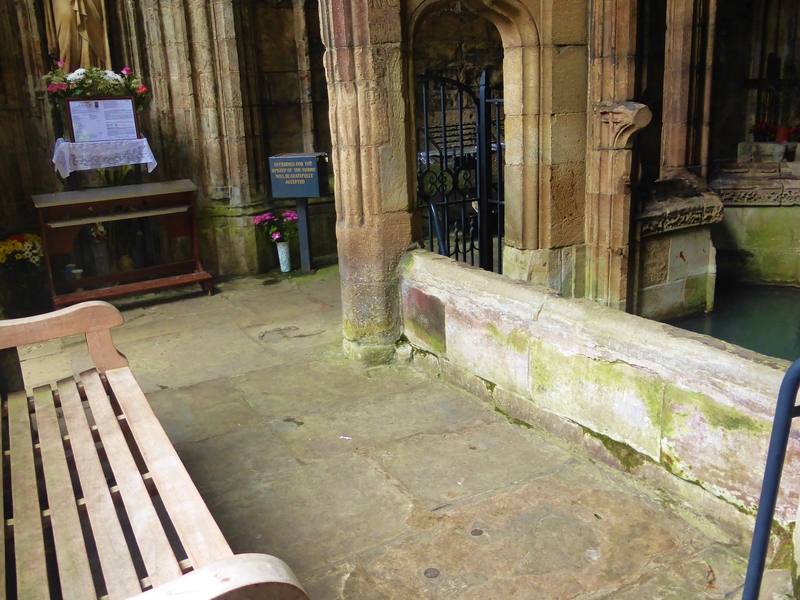 His presence and support is greatly missed by all. The small Staffordshire village of Great Haywood is a junction of waterways; the Trent and Mersey Canal is joined by the Staffordshire and Worcestershire Canal at Great Haywood Basin and the River Sow joins the River Trent near to the lovely Essex Packhorse Bridge. 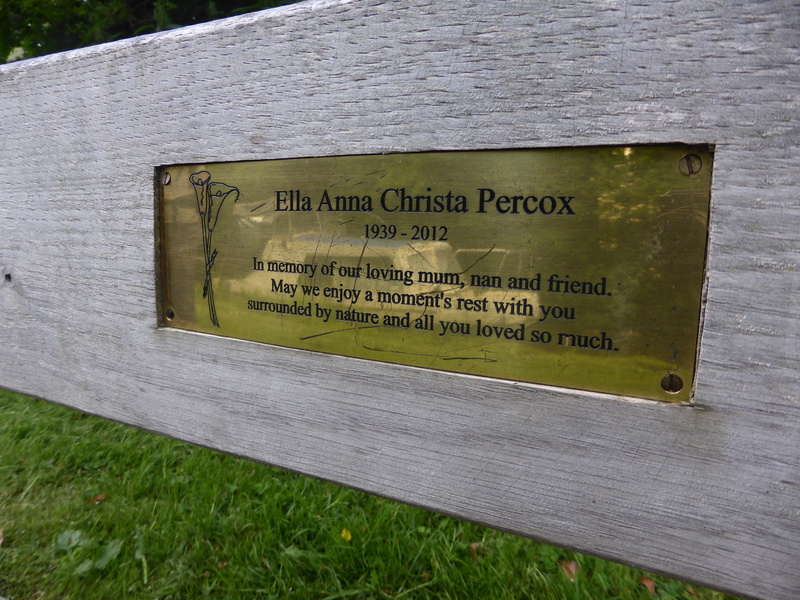 I was walking in this lovely watery area overlooking the Trent and Mersey when I found this memorial bench to Ella Anna Christa Percox. We had just enjoyed a favourite breakfast of Staffordshire Oatcakes at the lovely Canalside Farm Shop and Café that is nearby and were on our way in to the grounds of Shugborough Estate to explore some of the follies before heading on to Cannock Chase when I found this bench. 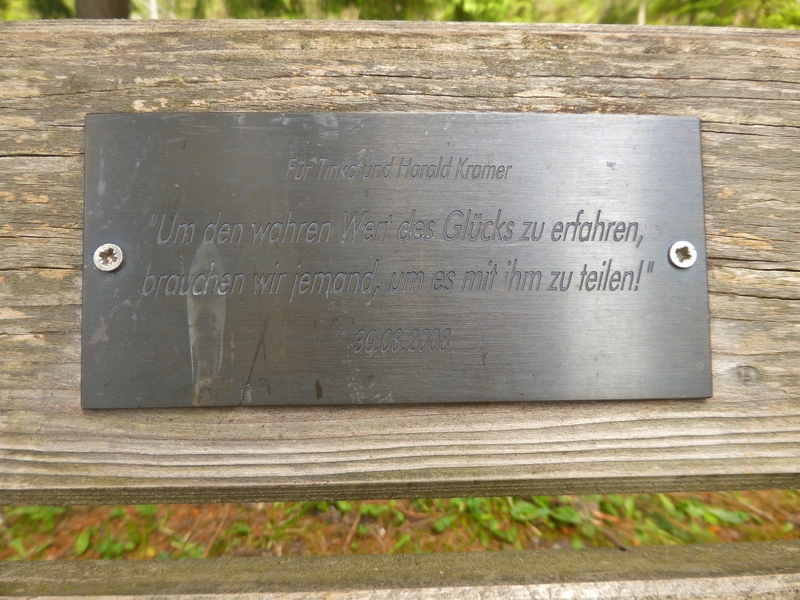 I was touched by the sentiment of the dedication that drew a picture of a woman who was part of a family who missed her and who enjoyed being in natural surroundings. 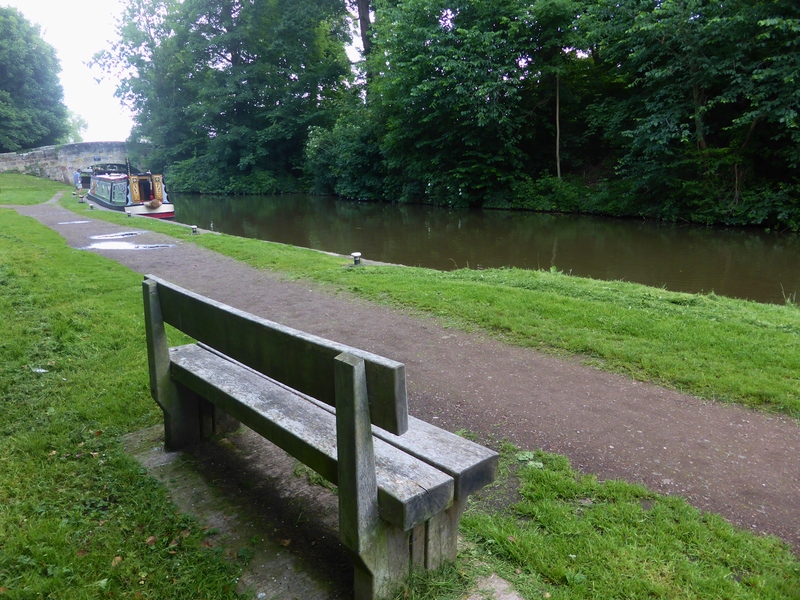 Sitting watching the narrow boats on the canal is always a relaxing way to spend a few minutes and I am sure this bench will have tempted plenty of people. 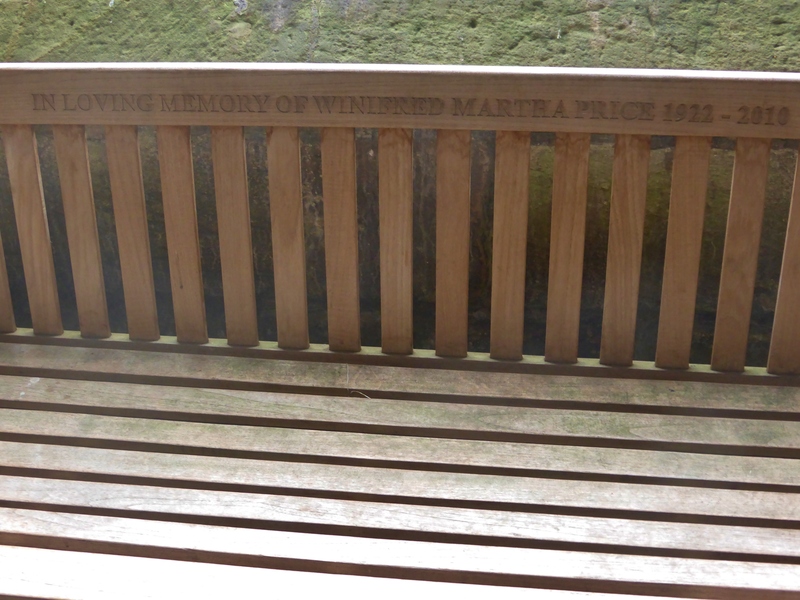 in memory of our loving mum, nan and friend. 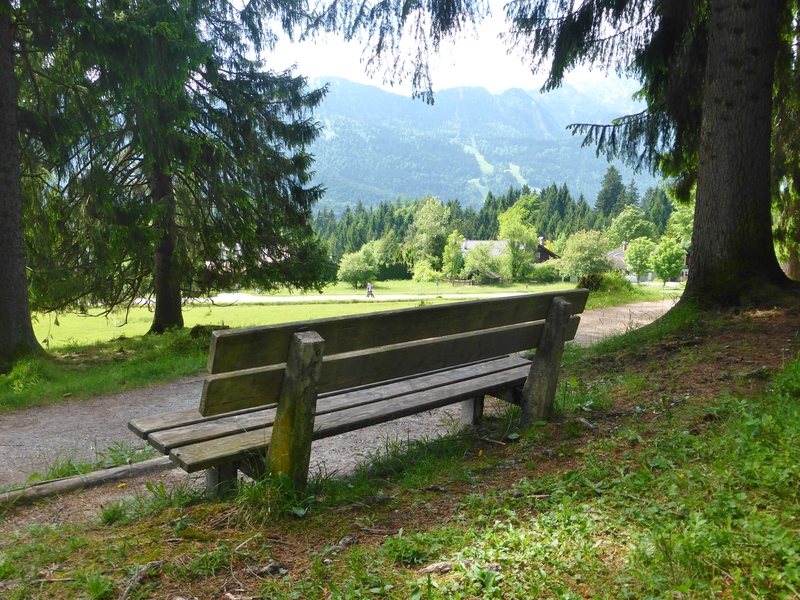 May we enjoy a moment’s rest with you surrounded by nature and all you loved so much.